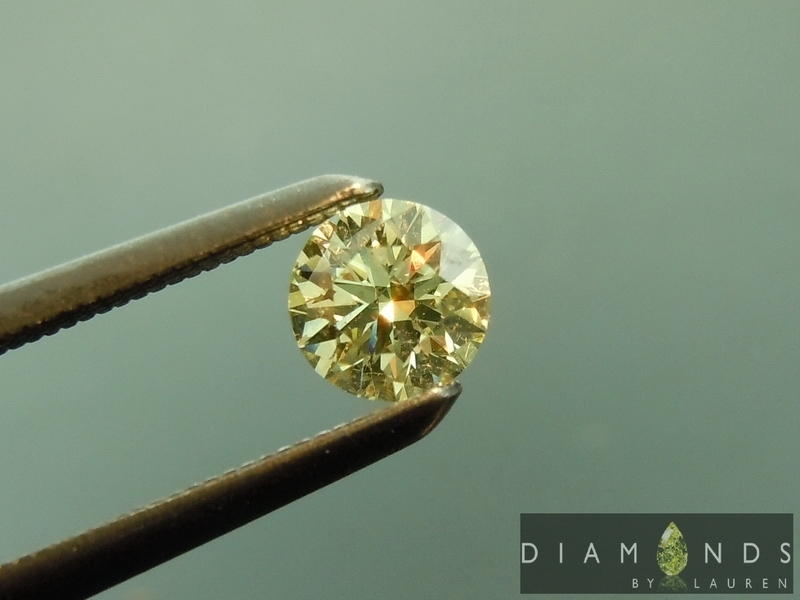 When you are judging the cut of a round brilliant canary diamond, you look for slightly different things than in a colorless round brilliant diamond. This stone achieves what I'm looking for. 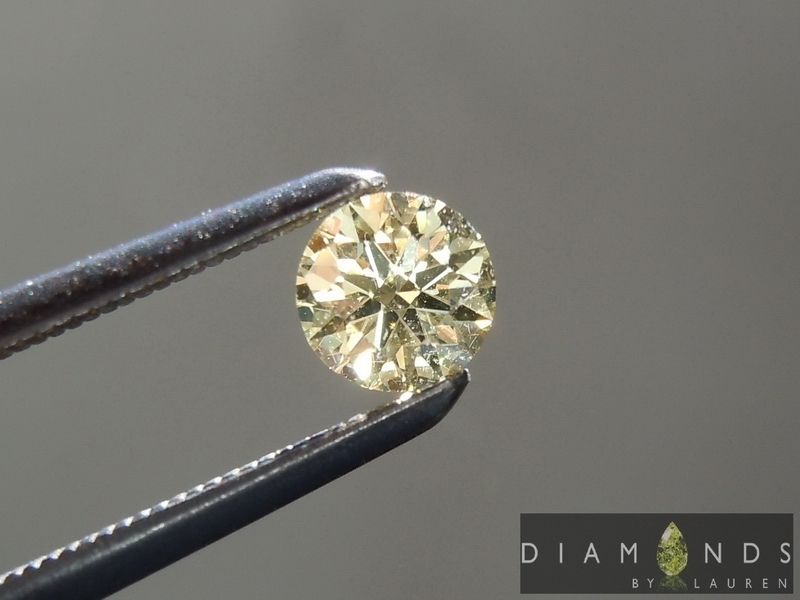 It has all the flash of a modern round brilliant, but it has been modified a bit which allows it to broadcast the yellow color much better than a diamond that will be cut with a smaller table – such as a traditional ideal cut diamond. 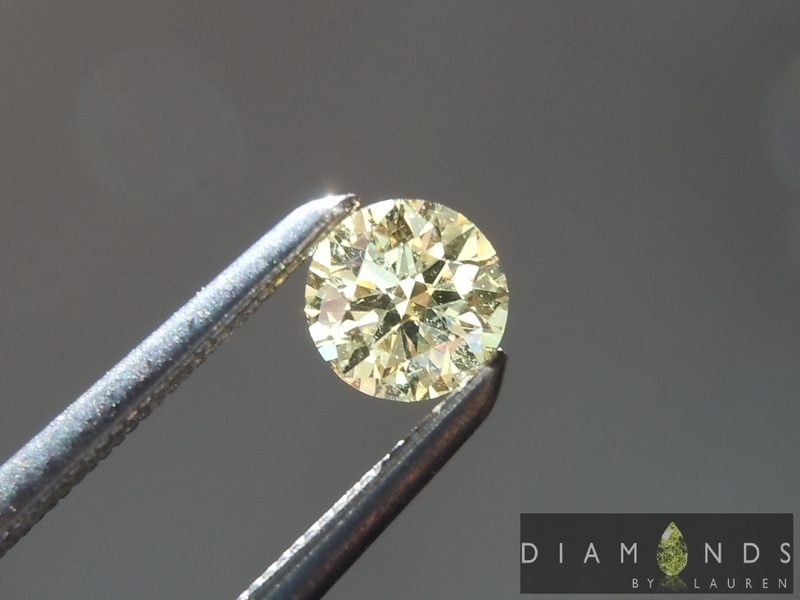 Please excuse the dust on the diamond in the pictures, it is a totally eye clean VS2 clarity. 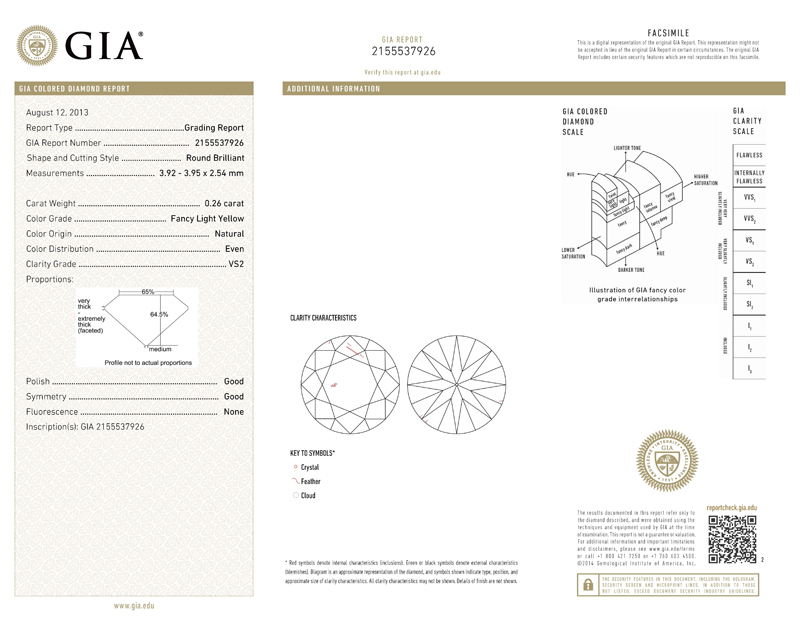 A beautiful stone for the money.